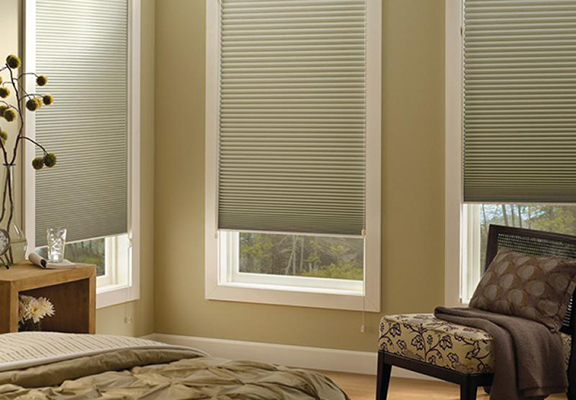 Looking for roller shades that will keep your room dimly lit & free from excess heat? The Drapery Guy in Westlake Village understands what you are looking for. We have the best roller shades for you to choose from. Custom measured to fit, our roller shades are uniquely designed, and are effective for your needed light control. The Drapery Guy offers a comprehensive & exclusive line of quality fabrics to design elegant, beautiful Roman Shades for your home. Our Roman Shades are designed to block glare & heat, all while creating a stunning look to the overall design of your room. With hundreds of fabric colors & patterns to choose from, The Drapery Guy will ensure we meet your expectations! We have worked with hundreds of households over the past decade in Westlake Village, offering the latest and greatest in motorized shades. Using a remote control, you will be able to adjust any motorized shades from a distance away, eliminating the frustration of attending to each shade individually. You can also have your shades operate with your iPad or iPhone!